Emulator, the World's first and only transparent multi-touch system for professional DJ use launches today. 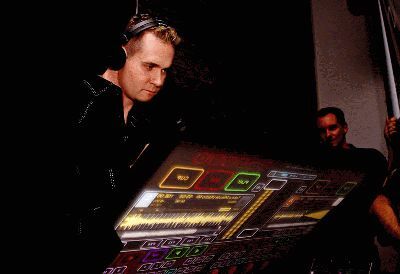 "Imagine a futuristic transparent touch screen in a club - it is an instant magnet for attention," says Alan Smithson, co-founder and CEO of Smithson Martin Inc., the company that developed the Emulator system exclusively for the professional DJ scene. "At our launch party, everyone wanted to touch and play with it, there were 3 people deep trying to take photos of it." The technology was developed by Pablo Martin, an Argentinean-based DJ with a passion for technology and the CTO of Smithson Martin Inc. He partnered with Alan Smithson, a DJ in Toronto, to create fully functional multi-touch Emulator packages. Their company, Smithson Martin Inc., provides the first and only professional DJ application for multi-touch technology available in the world. And Smithson Martin is the exclusive global distributor of the Emulator Multi-Touch screens for the DJ and Music Production market. Early buzz was created in August when a user released an Emulator YouTube video. DJ's from around the world were amazed and were asking how they could get their hands on this technology. While that video showed only the pre-release software, it generated over 1.3 million views, making it obvious that the DJ community is ready for this technology. Emulator is multi-touch MIDI software that presents everything the DJ needs on a high-resolution transparent multi-touch screen; the only screen accurate enough for professional use that doesn't generate false or ghost touches. The current version of Emulator interfaces with Traktor Pro, but future releases will include compatibility with Virtual DJ, Ableton, and Serato. Emulator currently runs on Windows 7, but Mac OS software is scheduled for release in 2011. The applications for multi-touch technology are endless. A simplified version of this technology could easily be created for corporate or retail advertising applications. 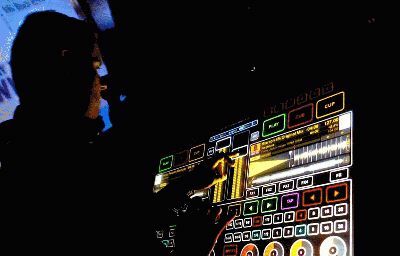 The Emulator Multi-Touch Professional DJ System is now available for purchase at www.smithsonmartin.com. It is available in four packages featuring different size transparent touch screens; 32" & 42" with custom sizes also available by request.